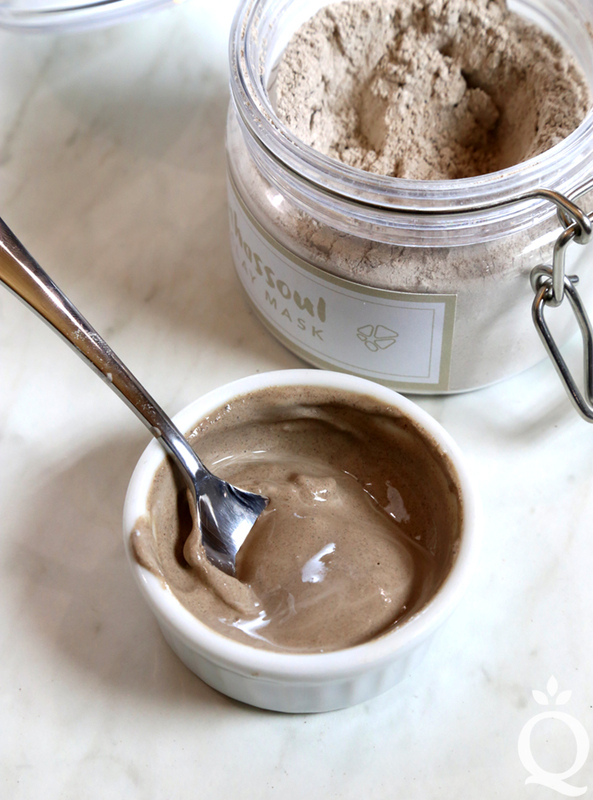 When we say this Rhassoul Clay Mask recipe is simple, we mean it. 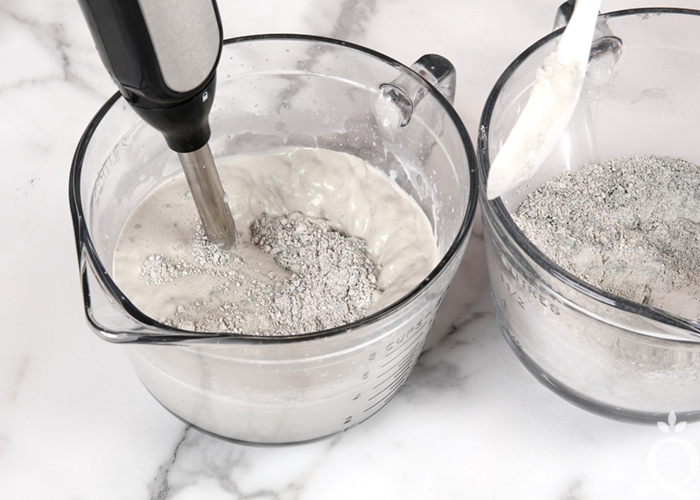 It’s just kaolin clay and rhassoul clay. 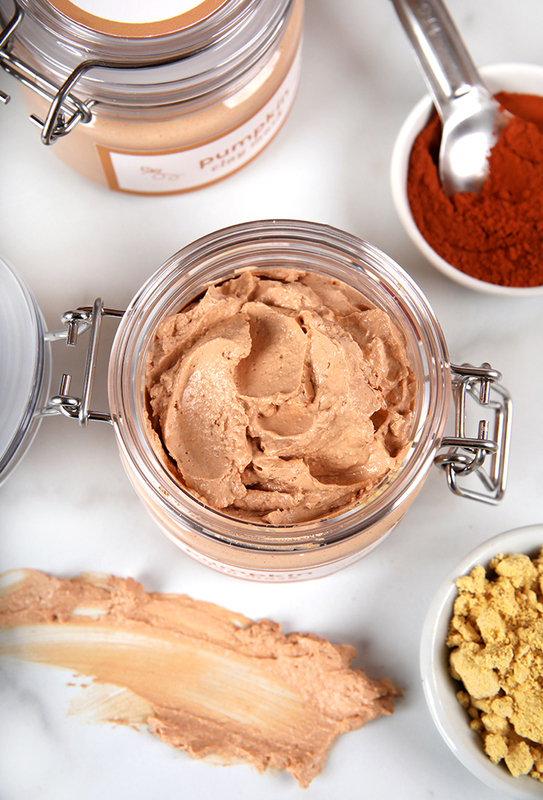 It’s designed to be customized with your favorite ingredients. 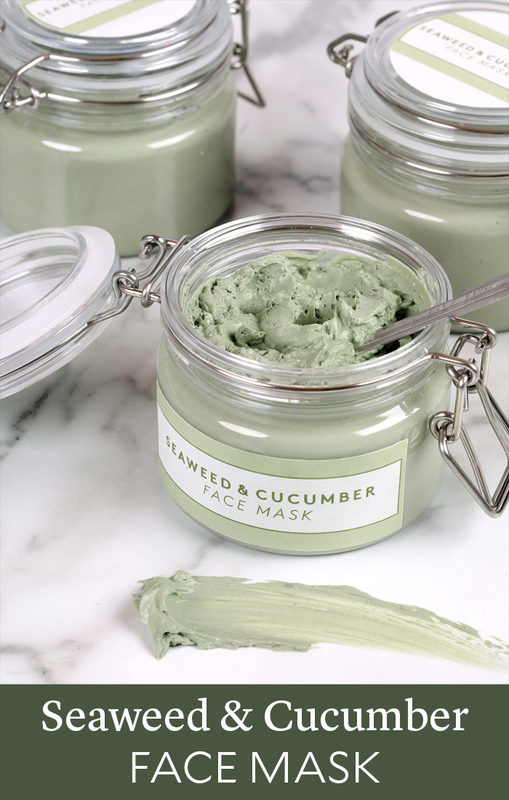 If you have oily skin, all you need to do is mix the mask with water and apply to the face. 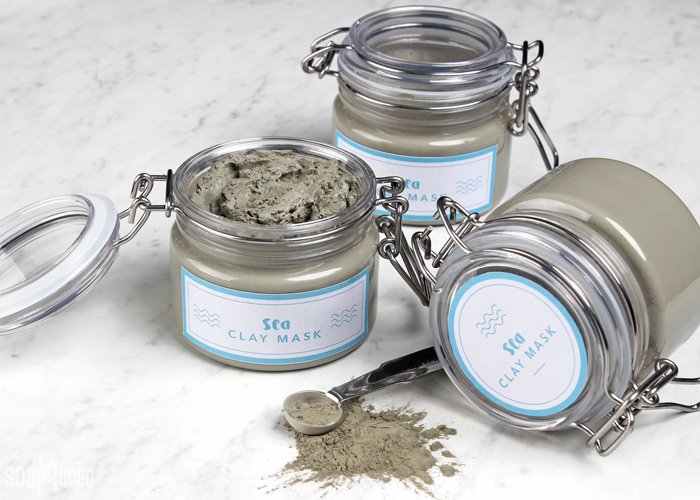 The clays absorb oil and leave the skin feeling fresh. 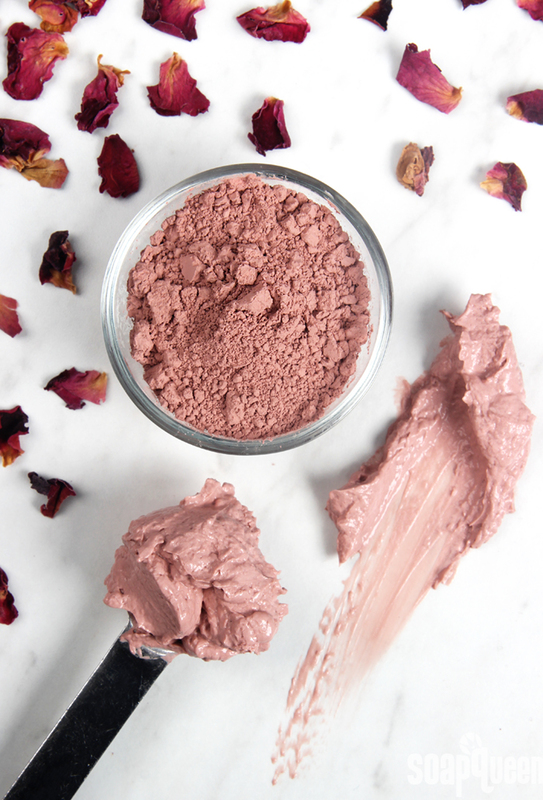 If your skin is dry, mix the mask with a lightweight oil like borage or rosehip seed to add moisture. 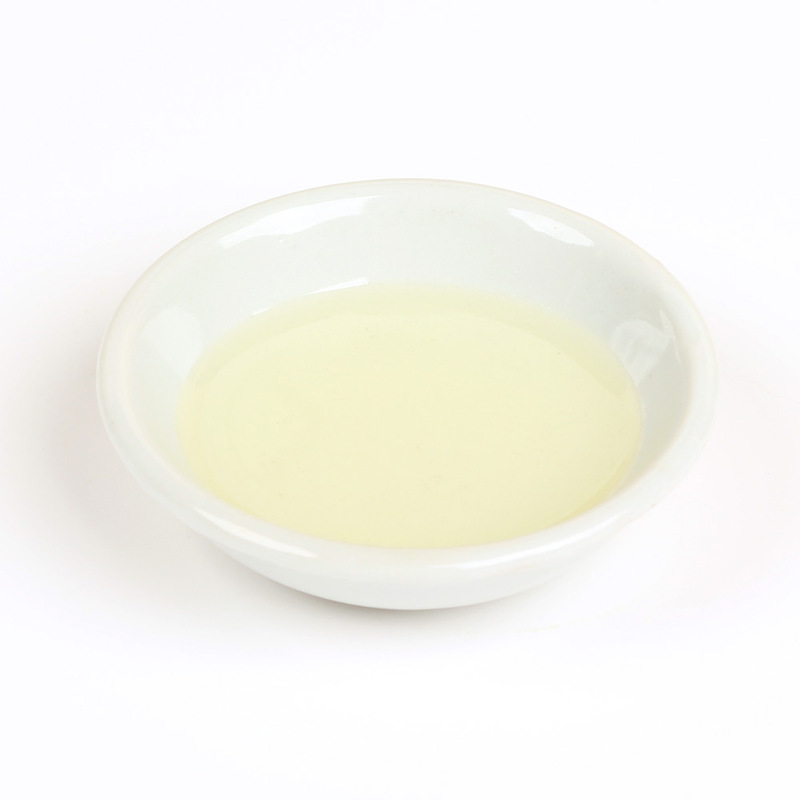 If you need even more hydration, try a heavier option like olive oil. 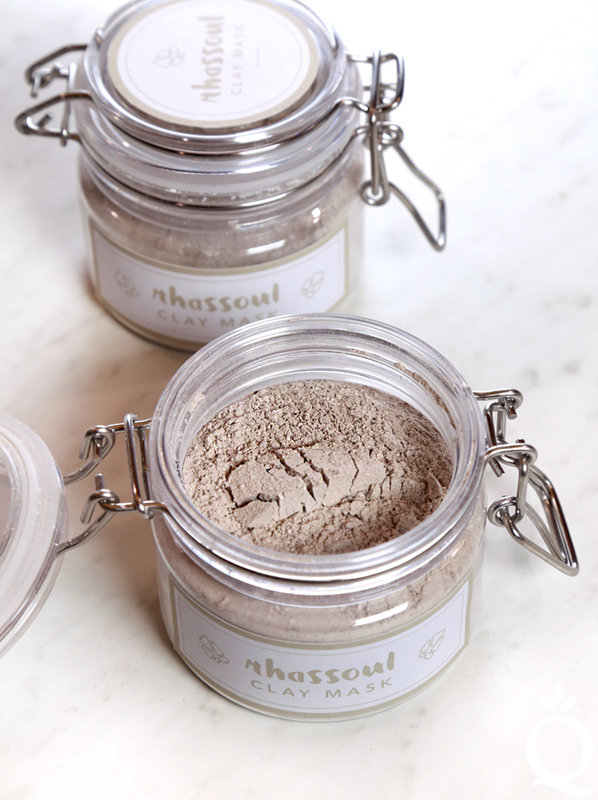 Kaolin and rhassoul have a silky texture that feels great on dry skin. 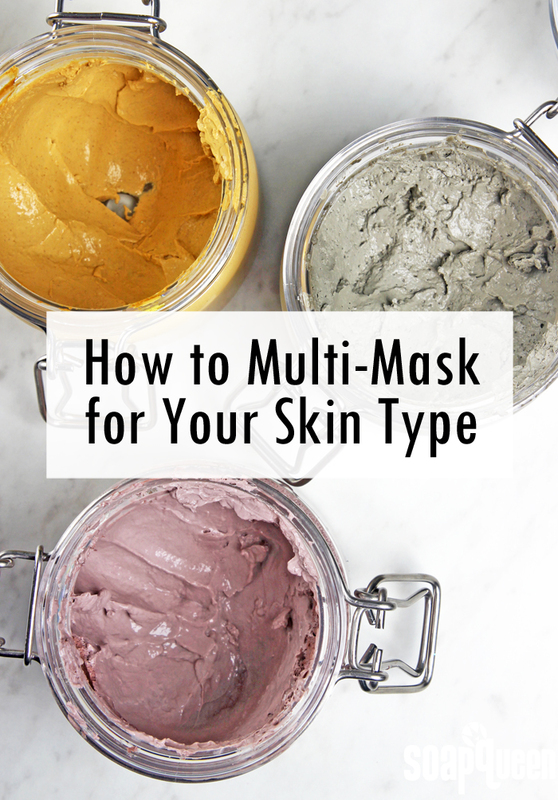 You can also mix the mask with essential oils, jojoba beads, extracts, or even liquid soap. 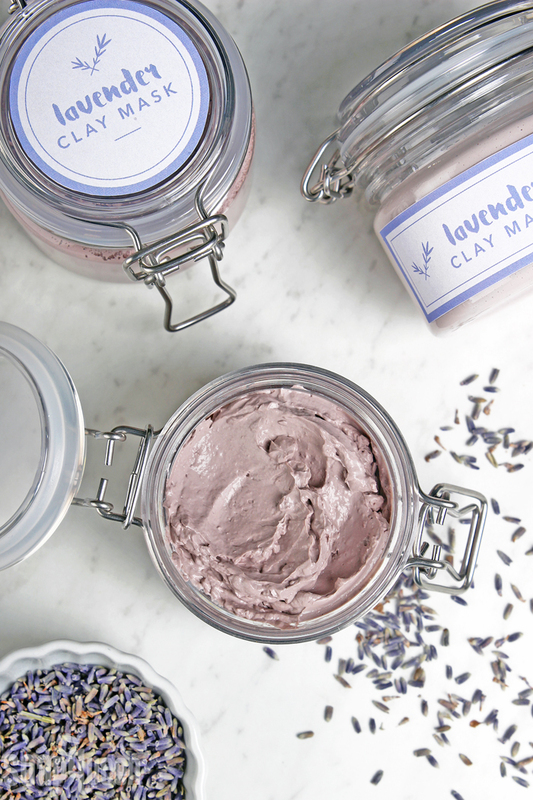 Lavender 40/42 Essential Oil and tea tree essential oil are great scent options. 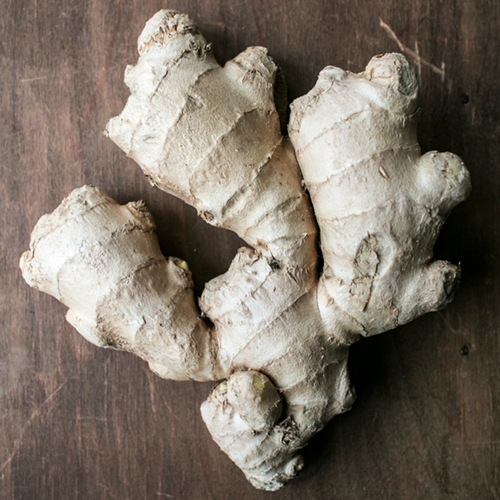 The sky’s the limit with this simple recipe. 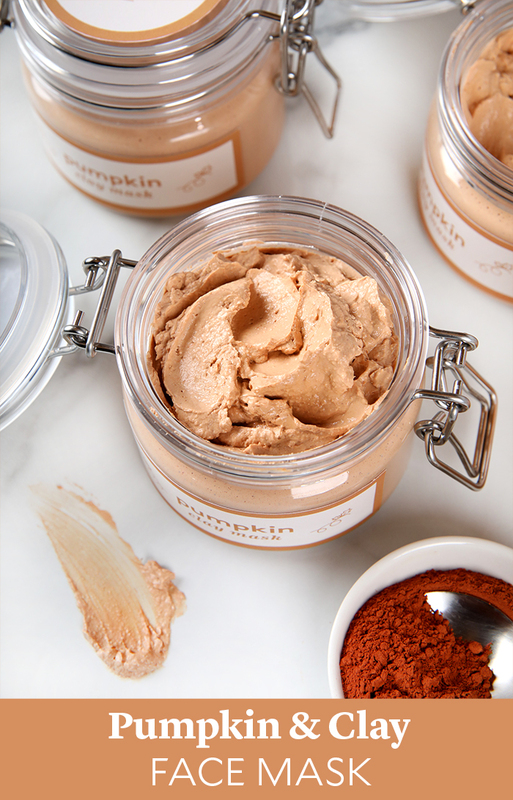 You may have noticed that this recipe fills two 8 ounce jars but it doesn’t contain 16 ounces of ingredients. 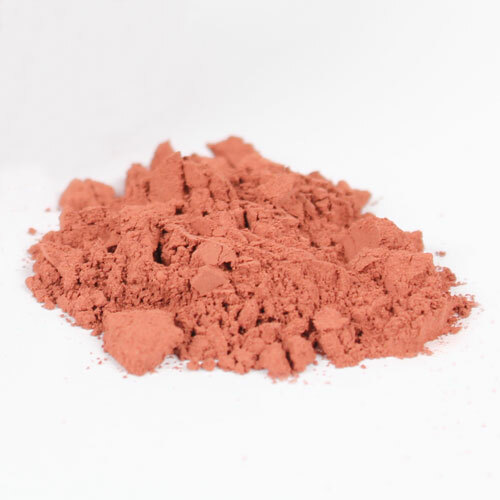 That’s because the clay is not very dense (kaolin is less dense than rhassoul). 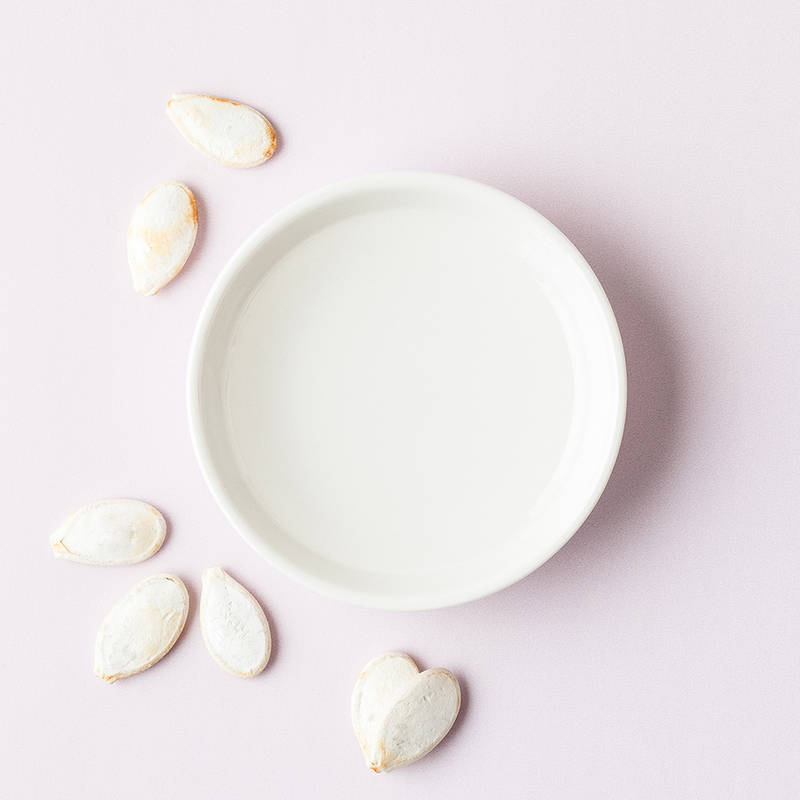 Read more about weight vs. volume here. 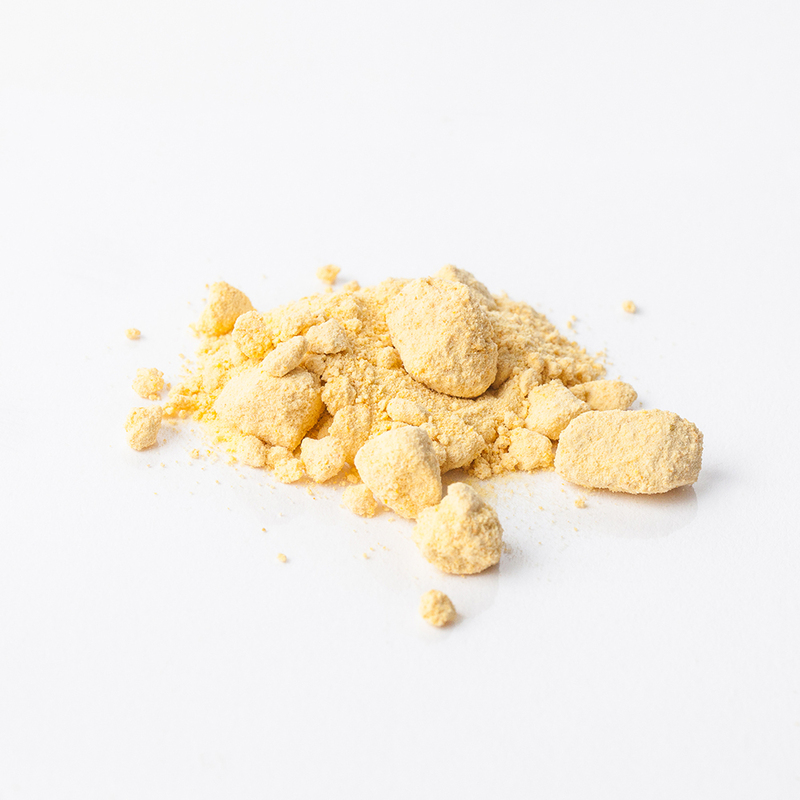 Turmeric is a plant of the ginger family, and is usually used in dry powder form. 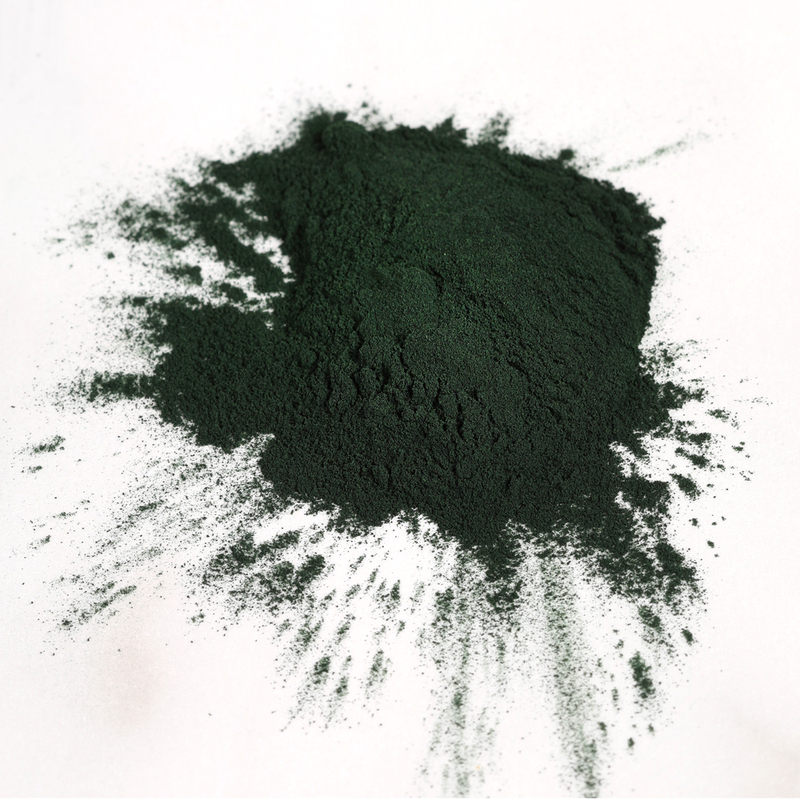 Its commonly added to dishes like curry and has been used in Chinese medicine for years. 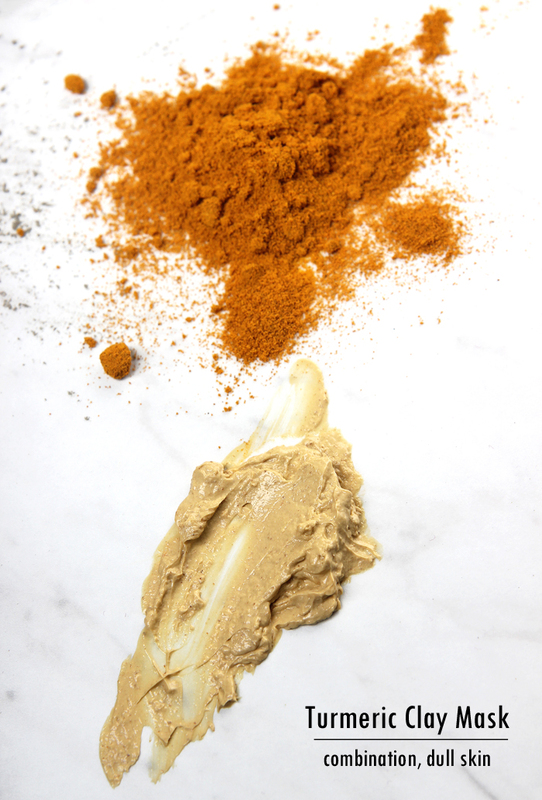 Turmeric contains curcumin, which is an anti-oxidant and is thought to have anti-inflammatory properties. 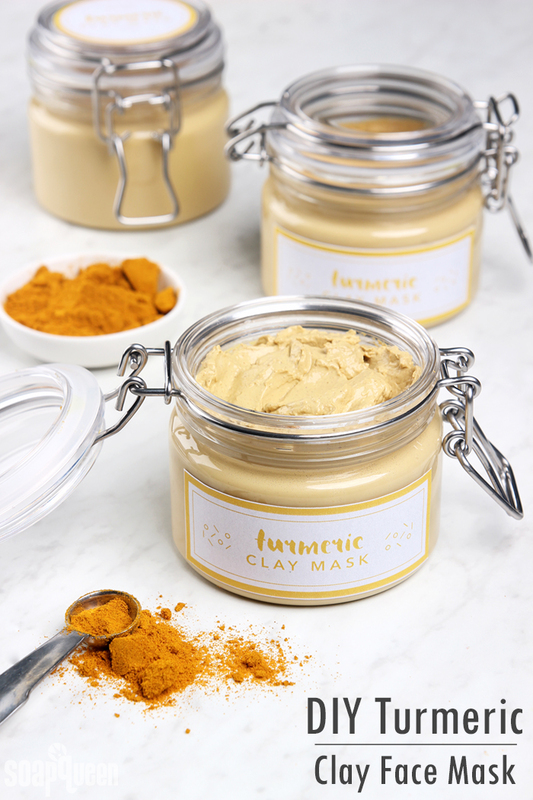 This Turmeric Clay Face Mask recipe harnesses the properties of this powerful spice, along with luxurious ingredients like carrot seed essential oil and carrot extract. 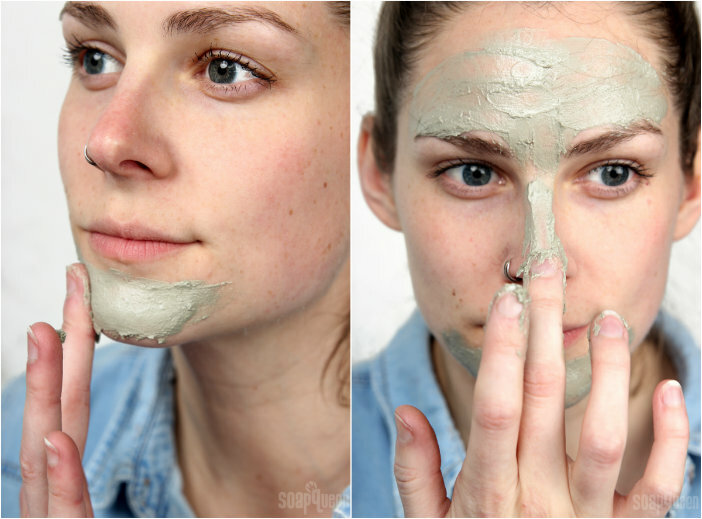 They’re a blast to make, and are a great way to get creative and give your skin a fresh start to the new year! 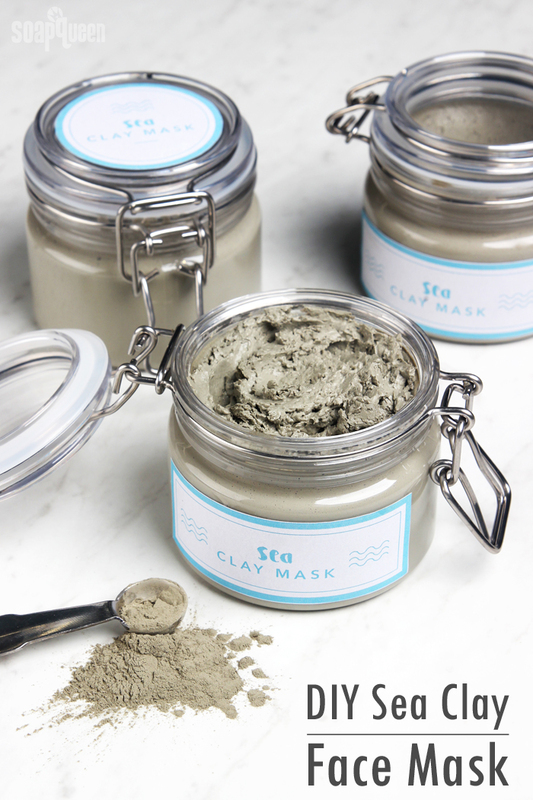 This clay mask was specifically designed for normal to oily skin types. 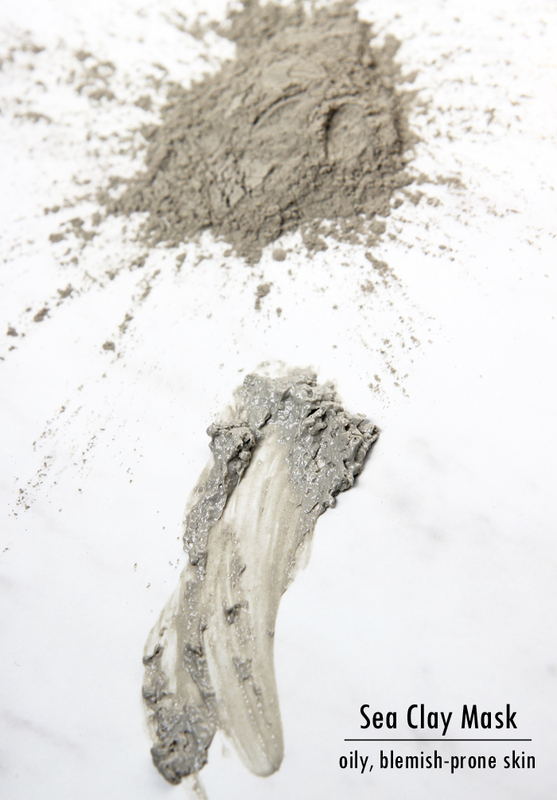 It contains kaolin clay, which is fine-grained and gentle on the skin. 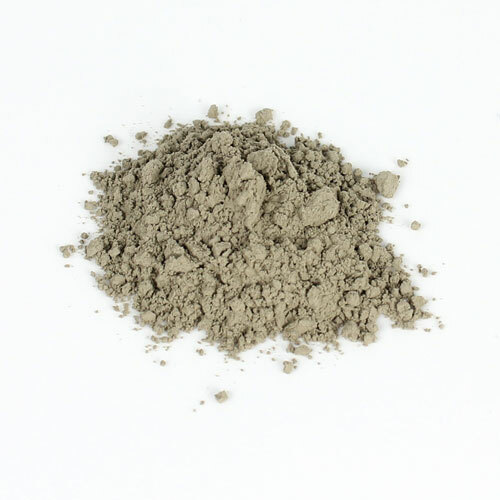 Carrot extract is high in vitamins A and E, and is thought to soothe the skin. 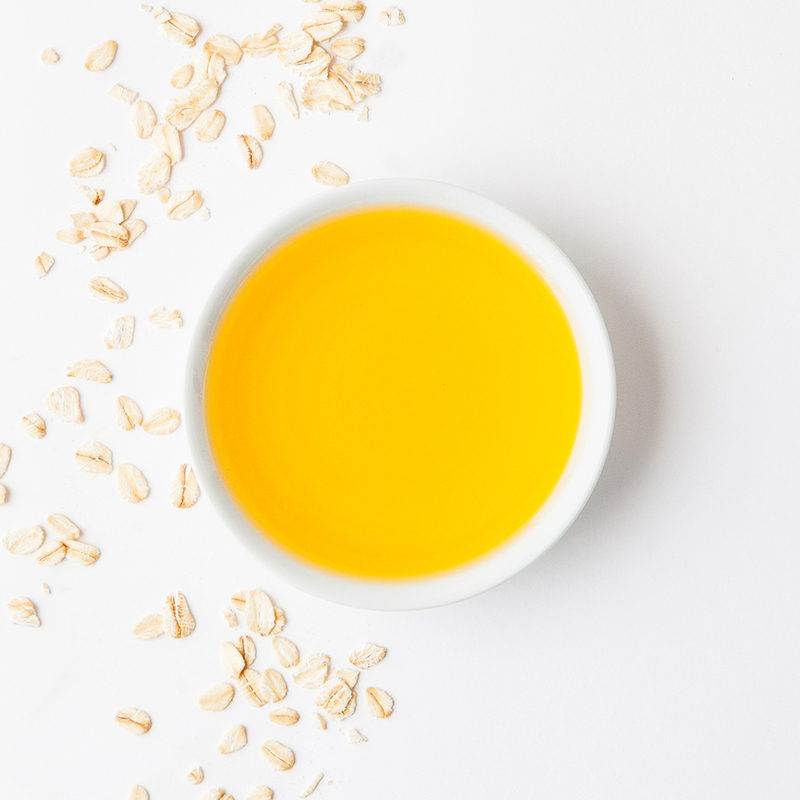 Carrot seed essential oil is rich in vitamins and carotene. 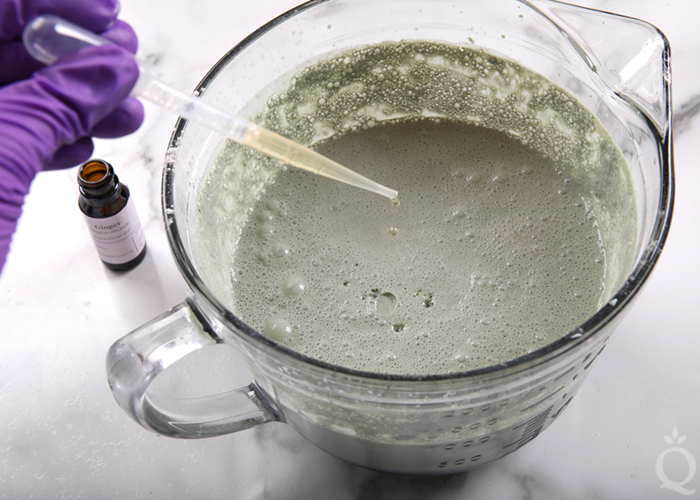 It has a distinct herby smell that’s not everybody’s favorite, but this recipe uses a small amount so it’s not overwhelming. 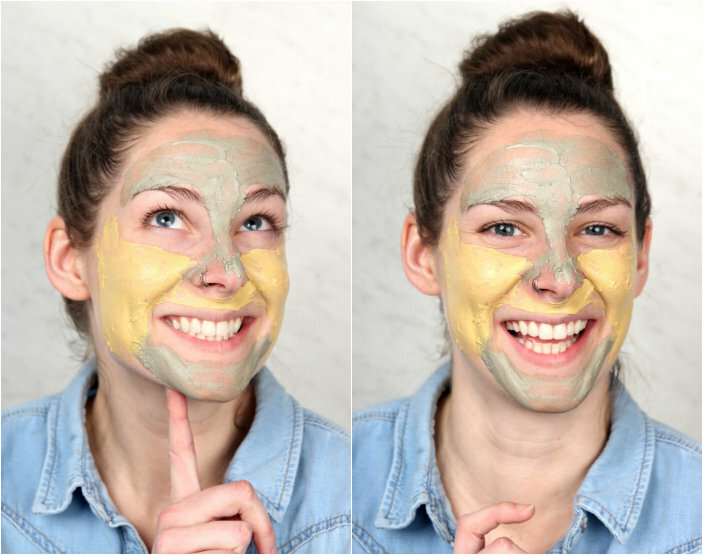 I was a bit worried this mask would leave my skin yellow. 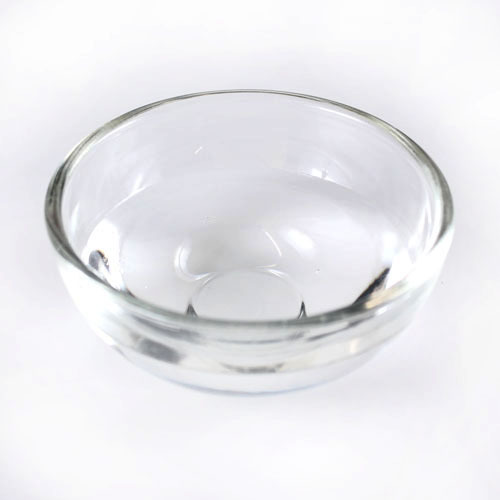 Luckily, it washes of clean with no staining. 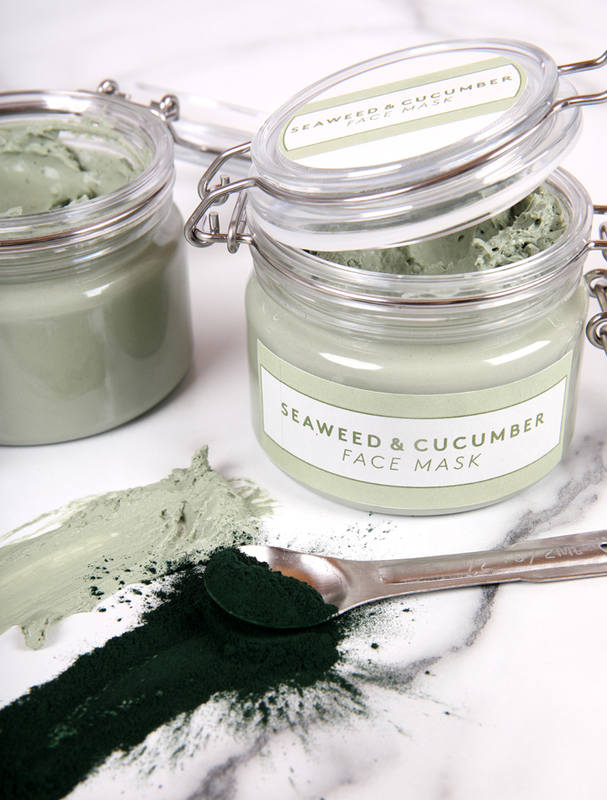 On a personal note, I have a bit of redness to my skin and I felt this mask really made a difference. 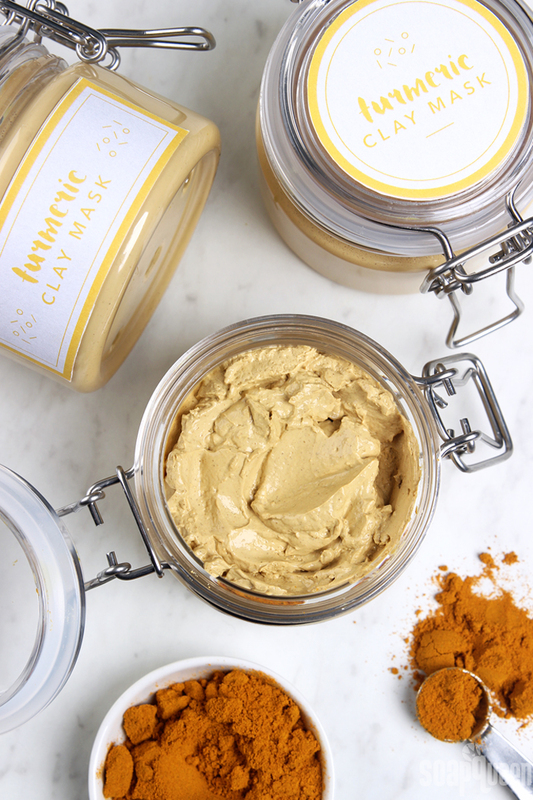 It could be the yellow color of the turmeric neutralizing that redness, but hey, I’ll take it! 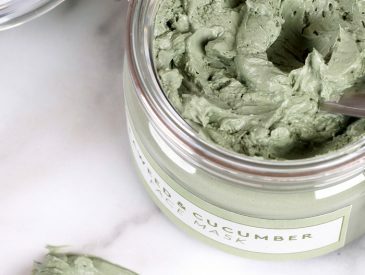 As always, if you’re selling this product, you cannot claim it cures redness or any skin condition. 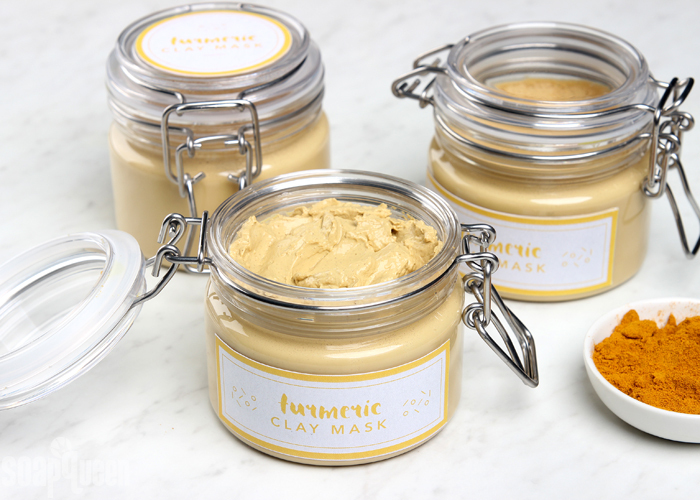 Speaking of medical claims and skin care products, you’ll find plenty of claims online that turmeric treats various medical conditions. 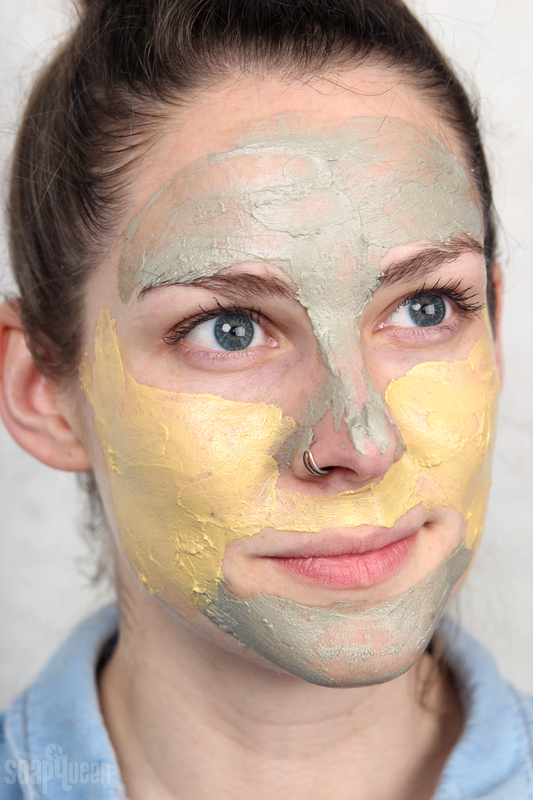 If you are selling a product that contains turmeric (like this mask! 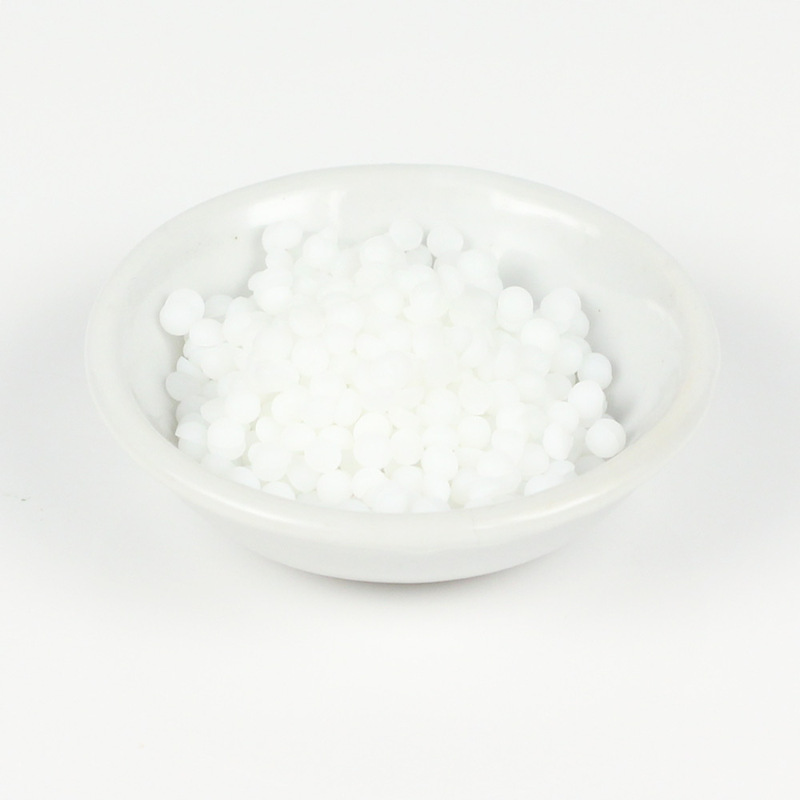 ), be careful about making medical claims. 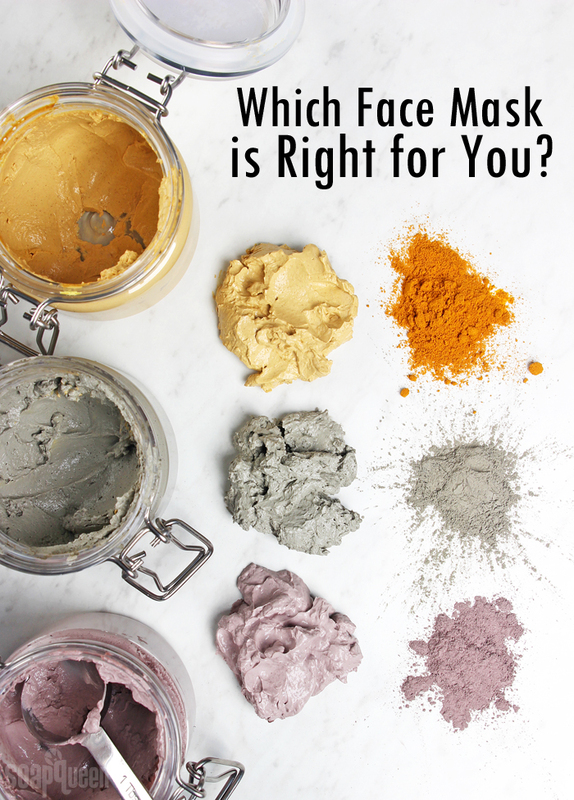 If your product claims to treat the skin or body in anyway, your product is considered a drug and needs testing by the FDA. 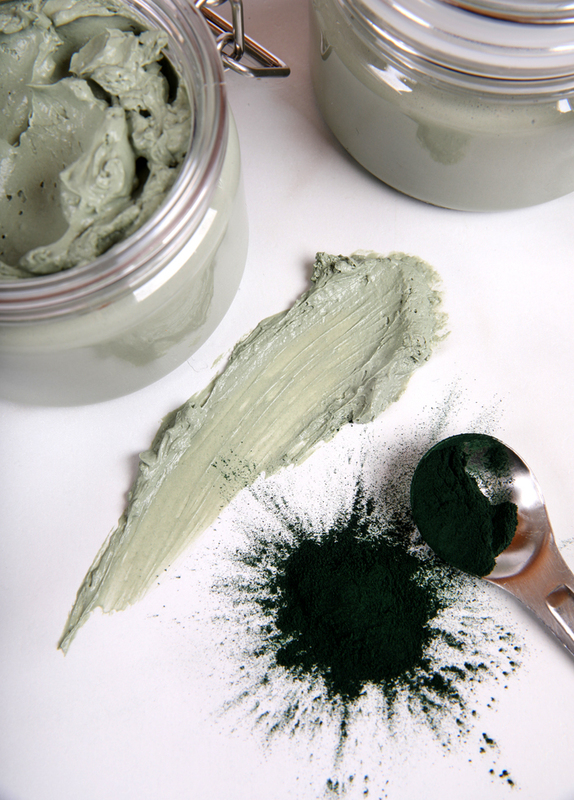 Learn more about cosmetics and medical claims here. 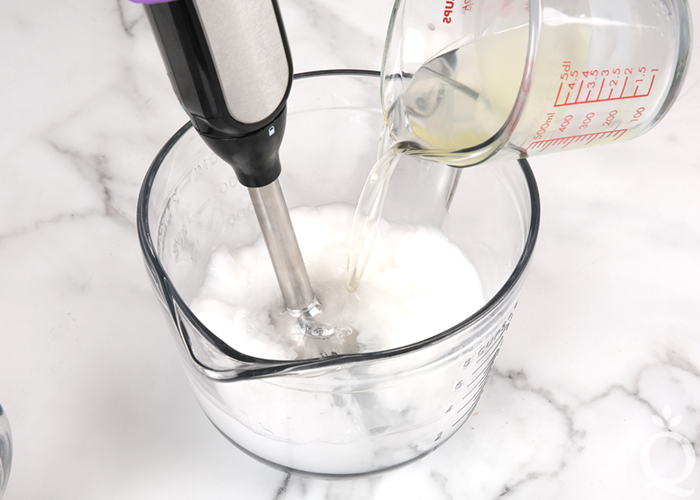 This recipe calls for avocado and meadowfoam oil. 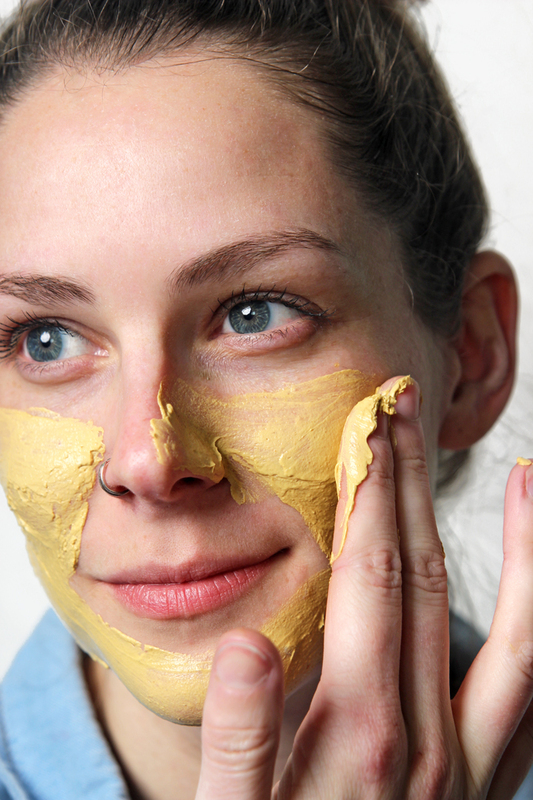 Other oils can be used instead if you prefer; we recommend staying with liquid oils that absorb easily into the skin. 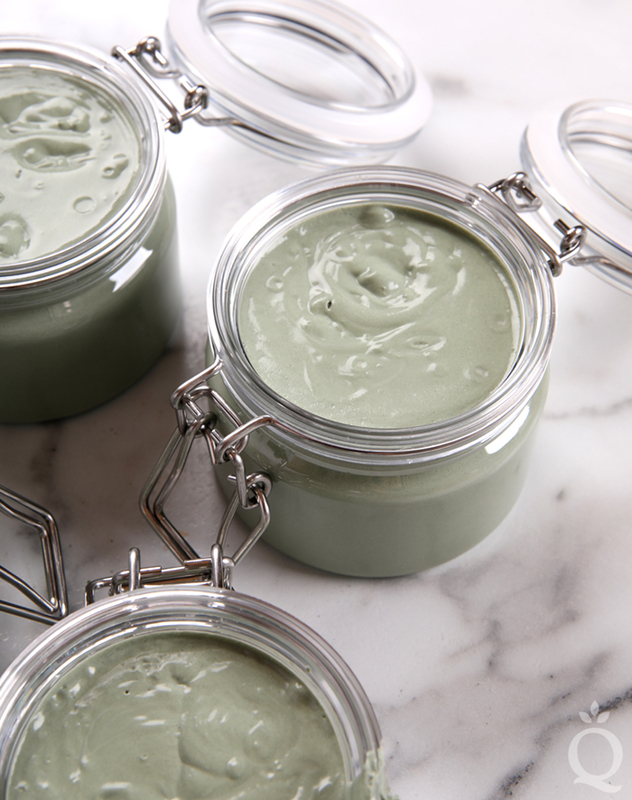 Changing the total amount of oil in the recipe will change the overall texture of the mask. 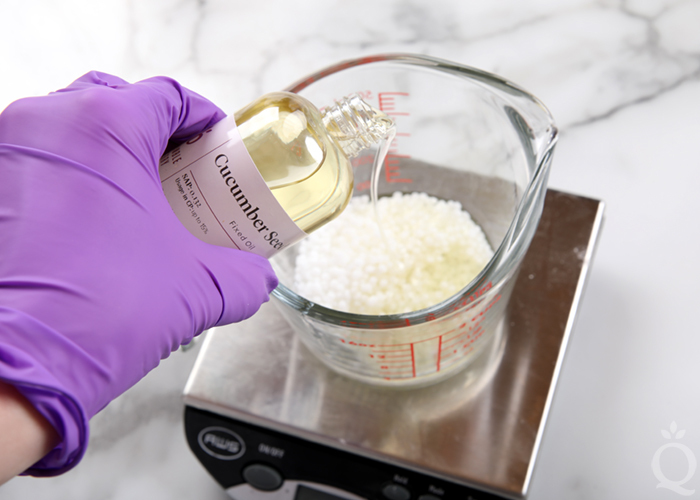 Because this recipe is essentially a lotion and contains a large amount of water, a preservative is necessary to avoid mold and bacterial growth. 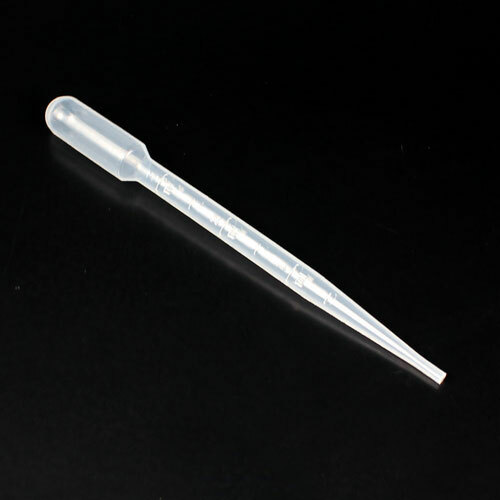 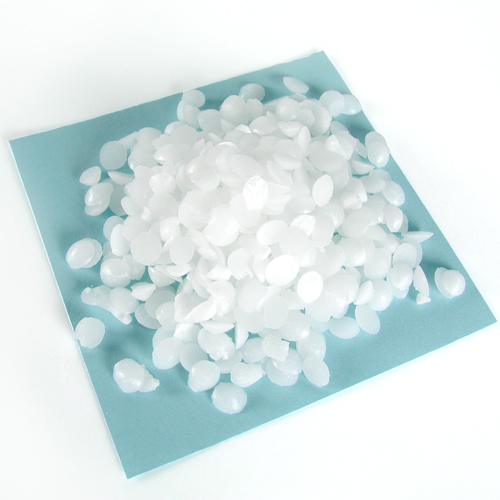 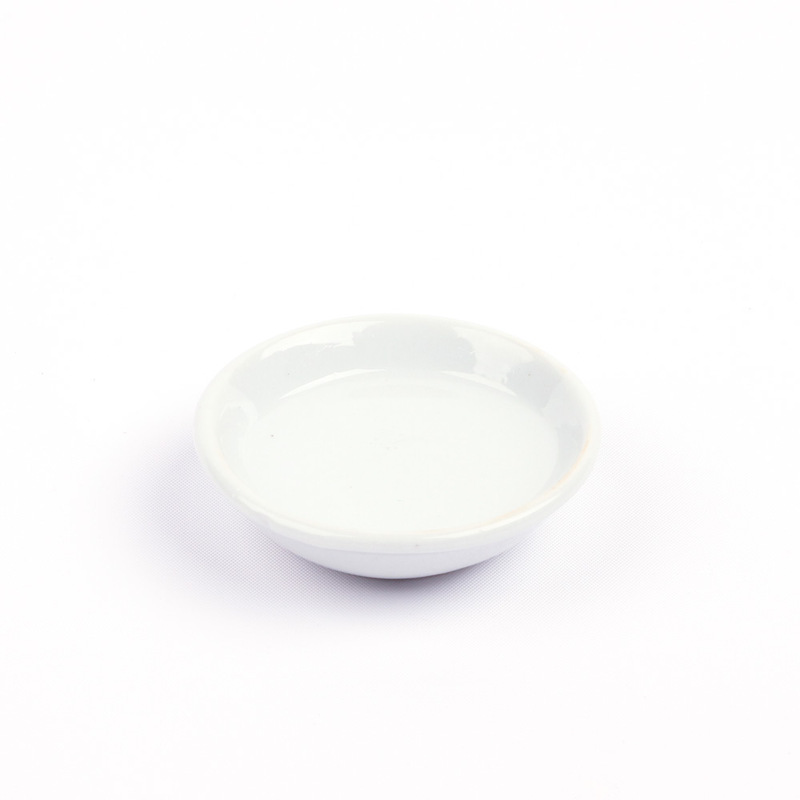 We chose Optiphen, but other water soluble preservatives will work. 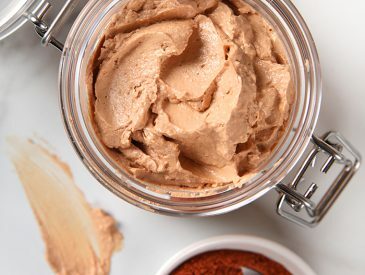 Learn more about preservatives here. 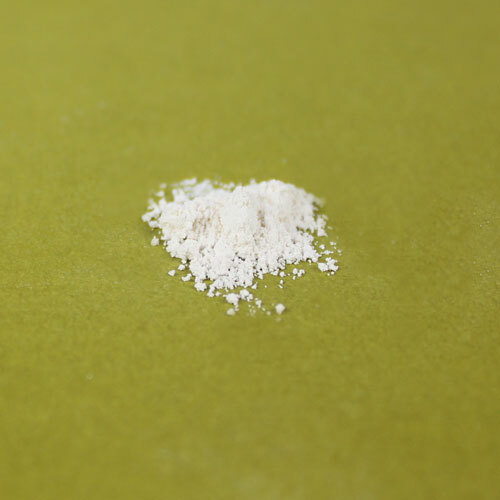 Carrot extract can be substituted with a different extract if you prefer. 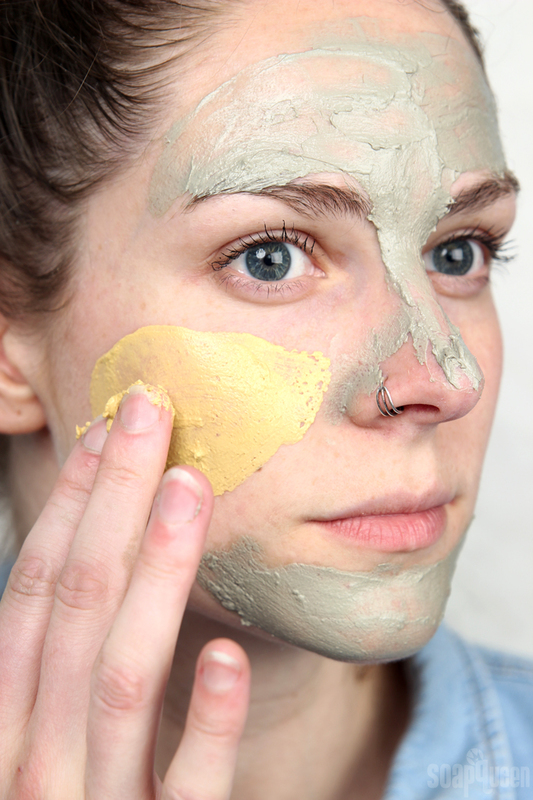 Usually clay masks are designed for oily skin. 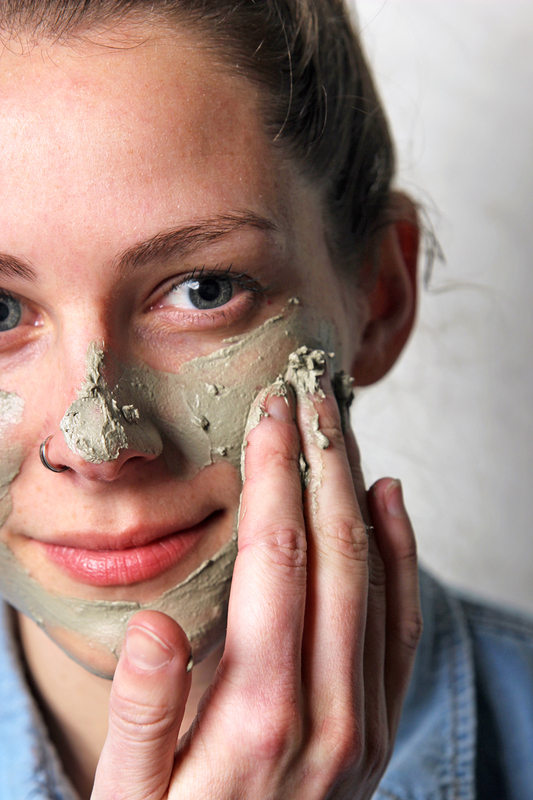 Because clay absorbs oil, it’s a natural fit. 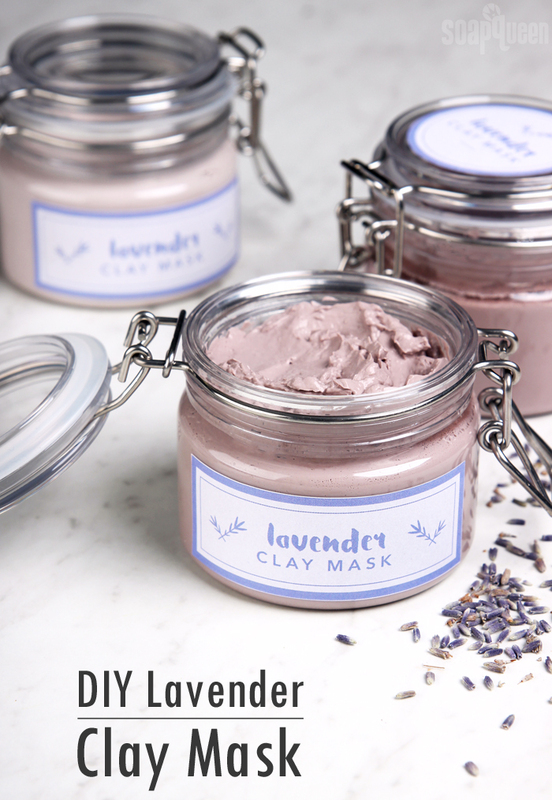 This Lavender Clay Face Mask was specifically formulated for dry and sensitive skin. 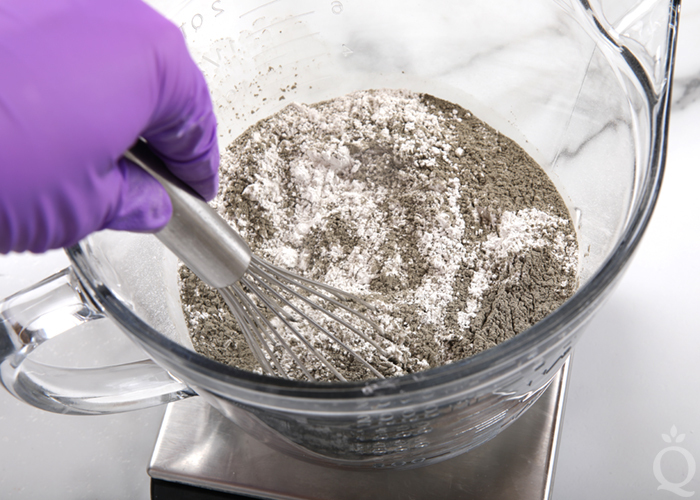 Don’t let the list of ingredients intimidate you – it’s surprisingly easy to make! 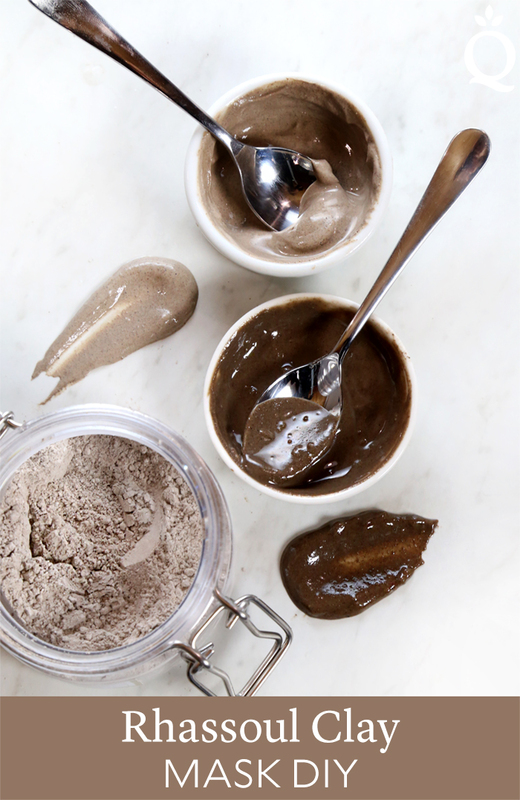 Transforming the clay, water and oil into a luxurious mask is a satisfying and rewarding creative process. 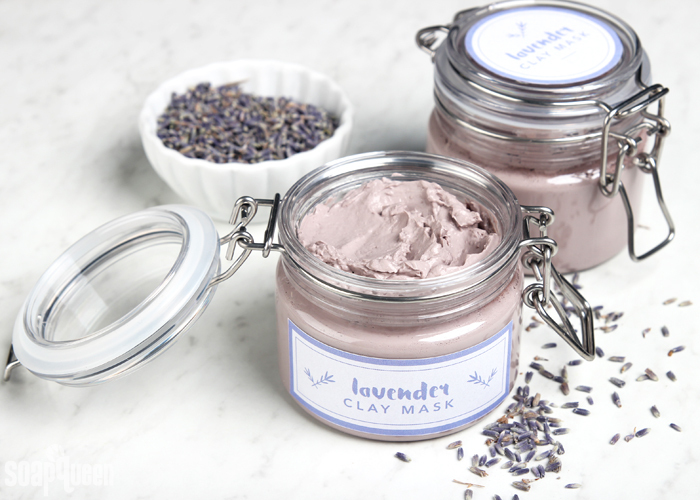 This Lavender Clay Mask recipe contains a luxurious blend of argan and avocado oil to moisturize the skin. 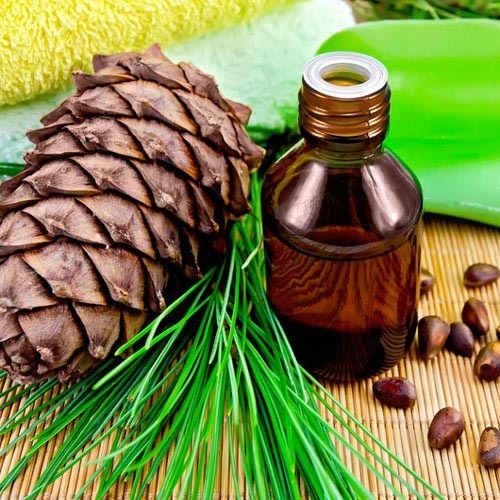 Argan oil is well known for its nourishing properties, and contains high percentages of vitamins A and E. The oils and distilled water are mixed together with Polawax Emulsifying Wax and BTMS-50 Conditioning Wax. 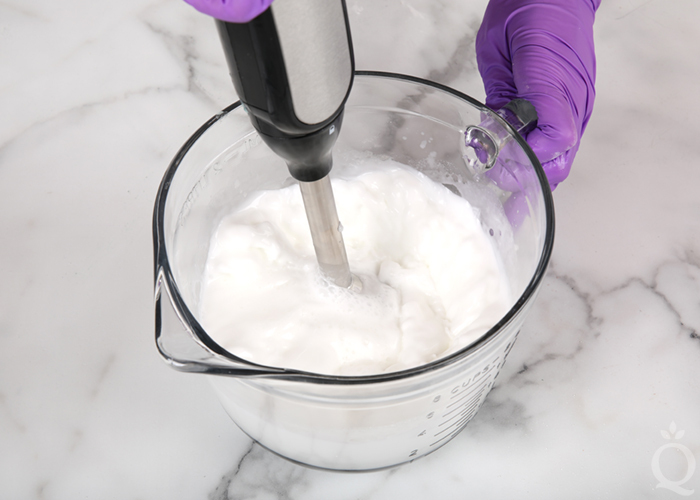 These emulsifiers create a smooth, creamy, lotion-like texture, and prevent separation of the oil and water. 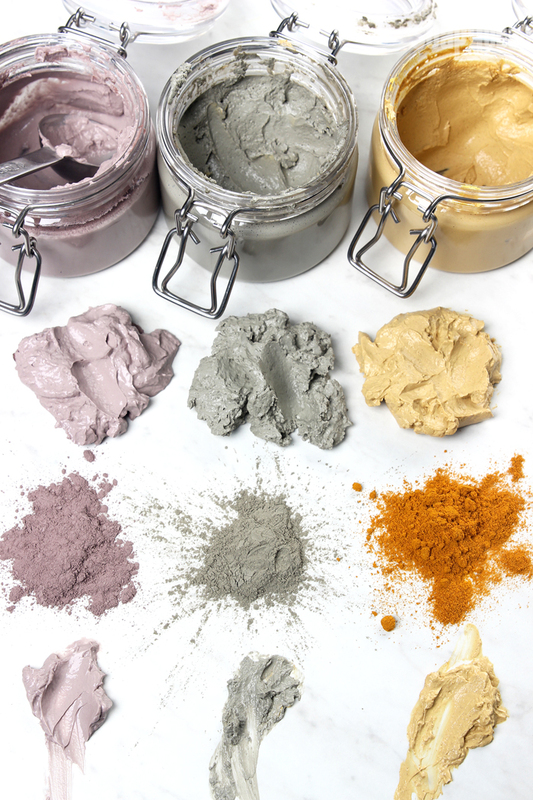 A mixture of kaolin and purple Brazilian clay is added to the water and oils. 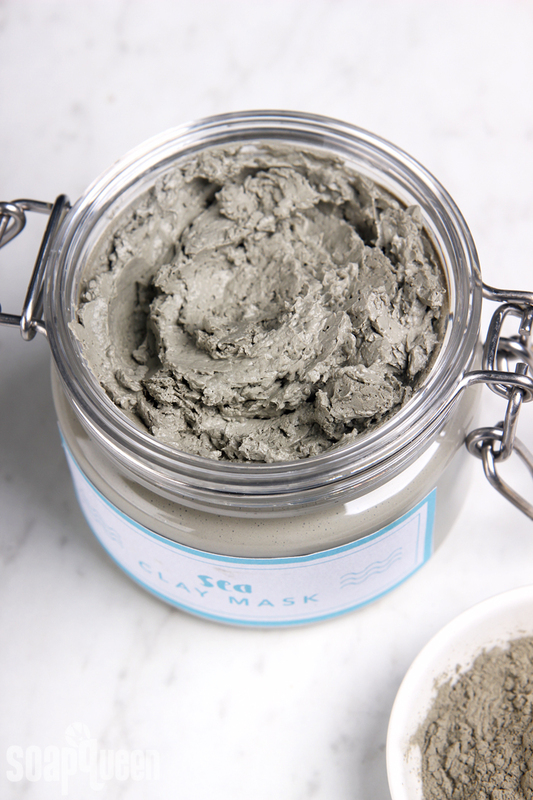 The majority of the clay in this mask is kaolin clay, which is very fine and gentle. 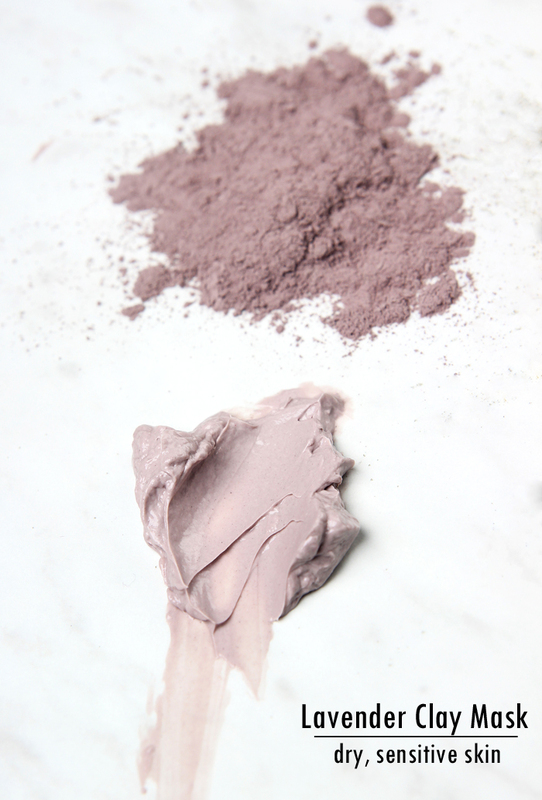 Purple Brazilian clay adds a beautiful color and helps create a thicker mask. 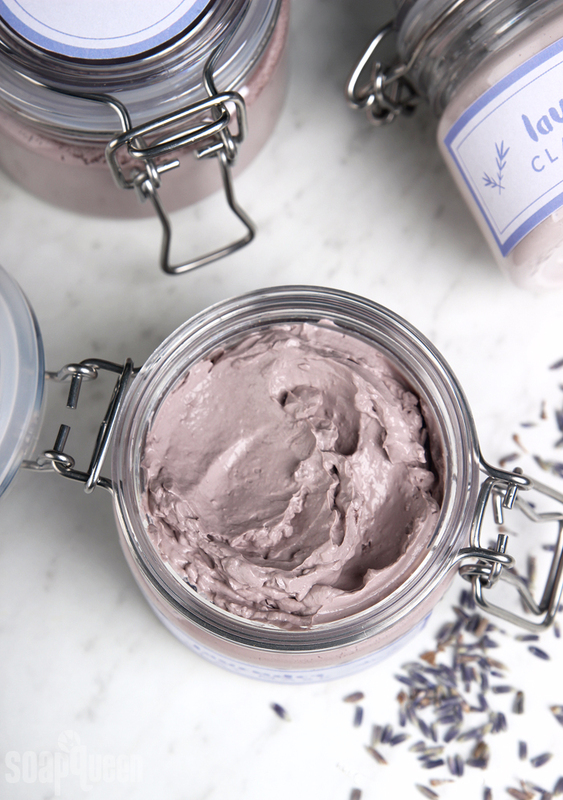 Lavender 40/42 Essential Oil adds a light scent, but can be omitted if your skin is extremely sensitive. 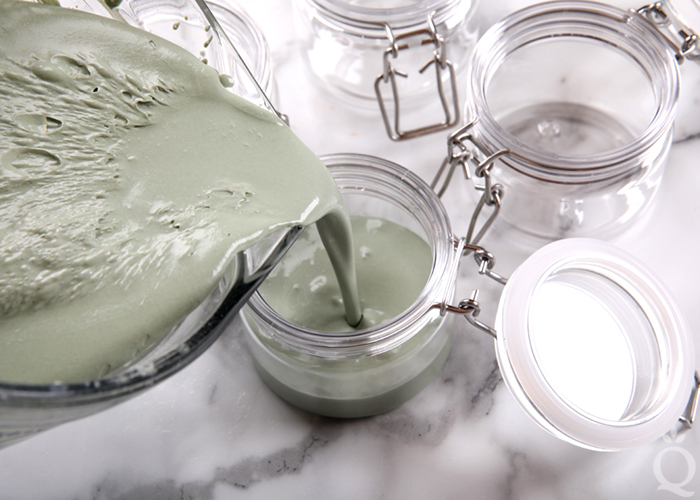 Evening primrose extract adds skin-loving properties, but can easily be swapped for any other extract you may prefer. 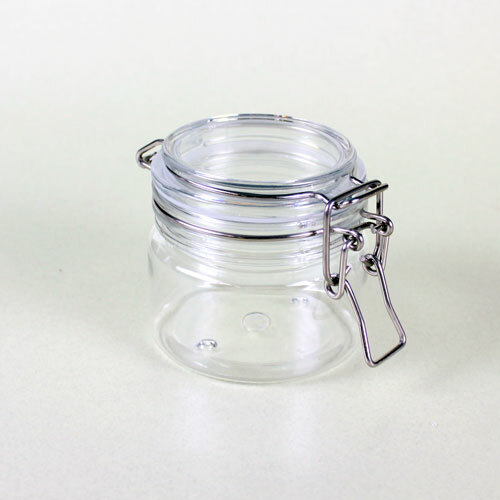 Find out more about extracts here. 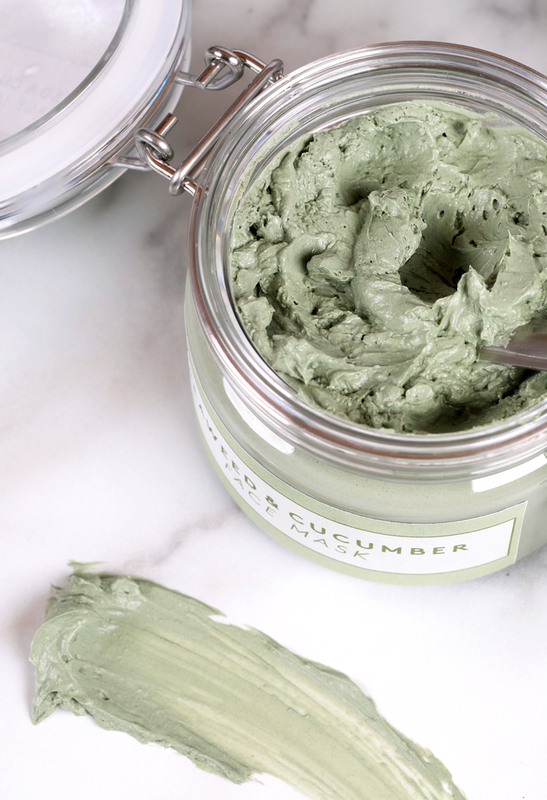 Overall, this mask has a lotion-like texture that spreads easily on the skin. 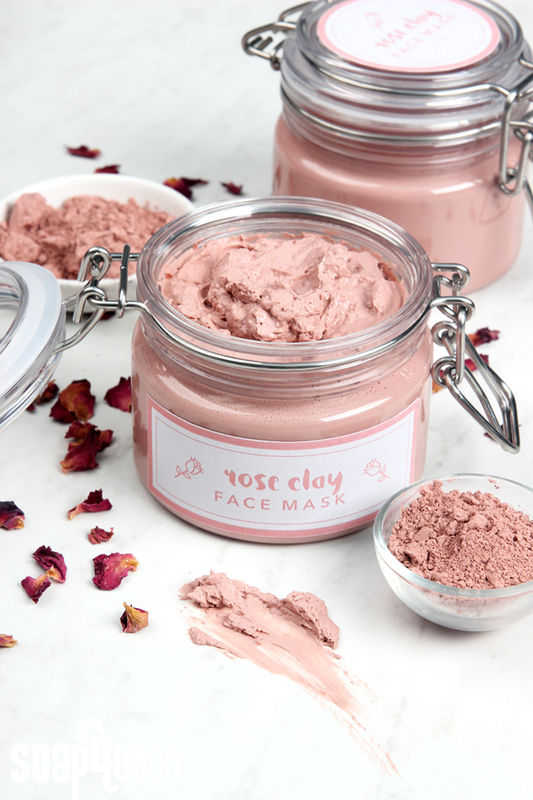 Because it’s formulated with dry skin in mind, it contains a fairly small amount of clay. 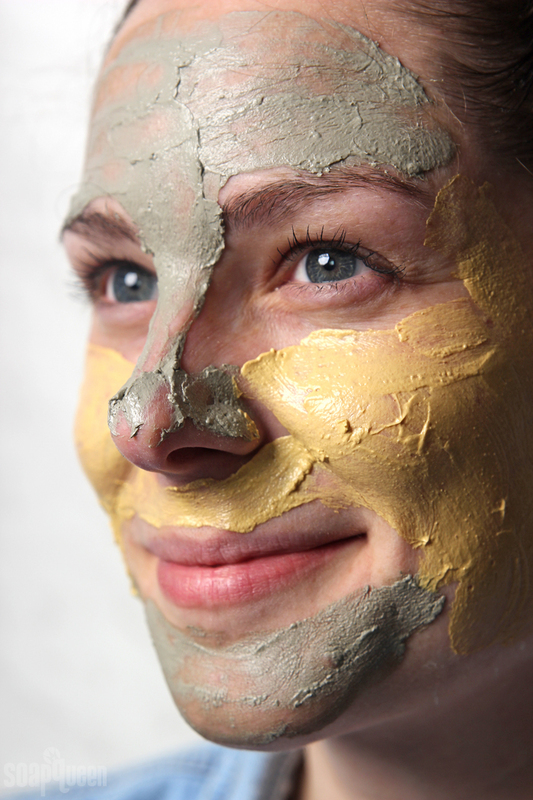 If you apply a very thin layer to the skin, you’ll find that after about 10 minutes it will dry. 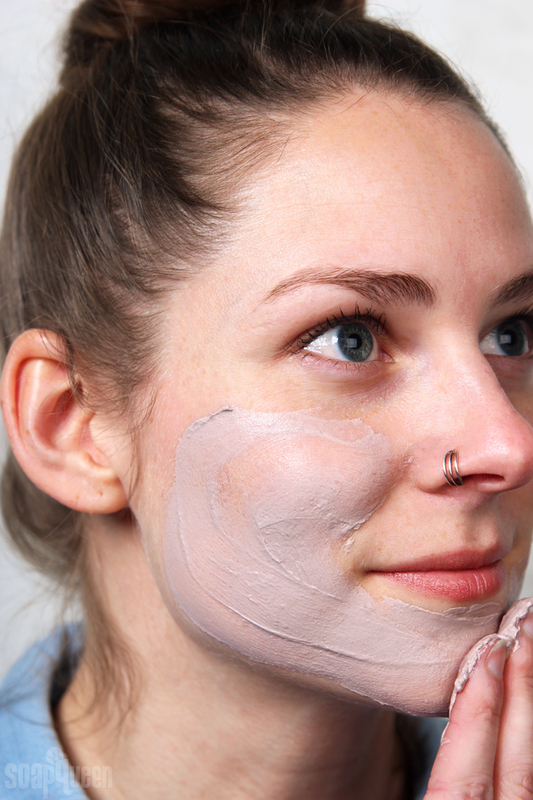 But if a heavier application is used, it may not fully dry and will continue to have a wet, lotion feel. 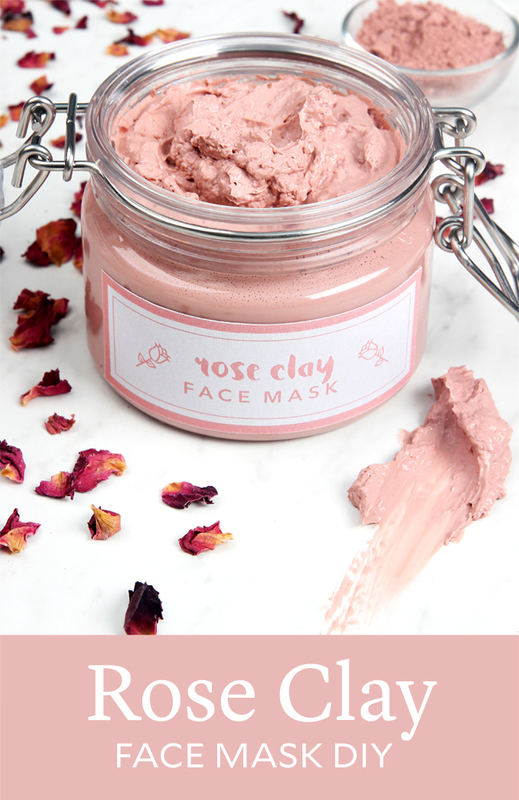 If you prefer the mask to fully dry on the skin, increase the amount of total clay in the recipe to about 6 ounces. 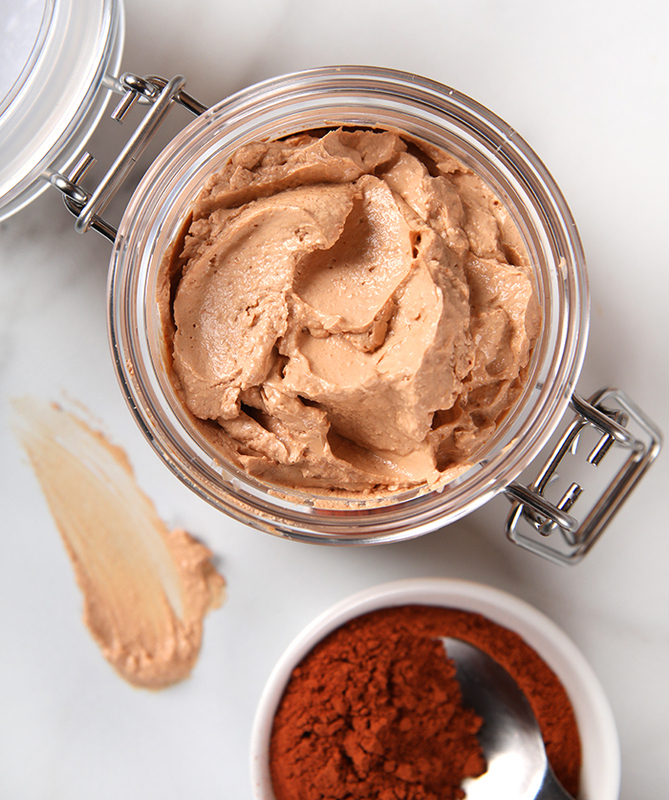 This recipe calls for avocado and argan oil. 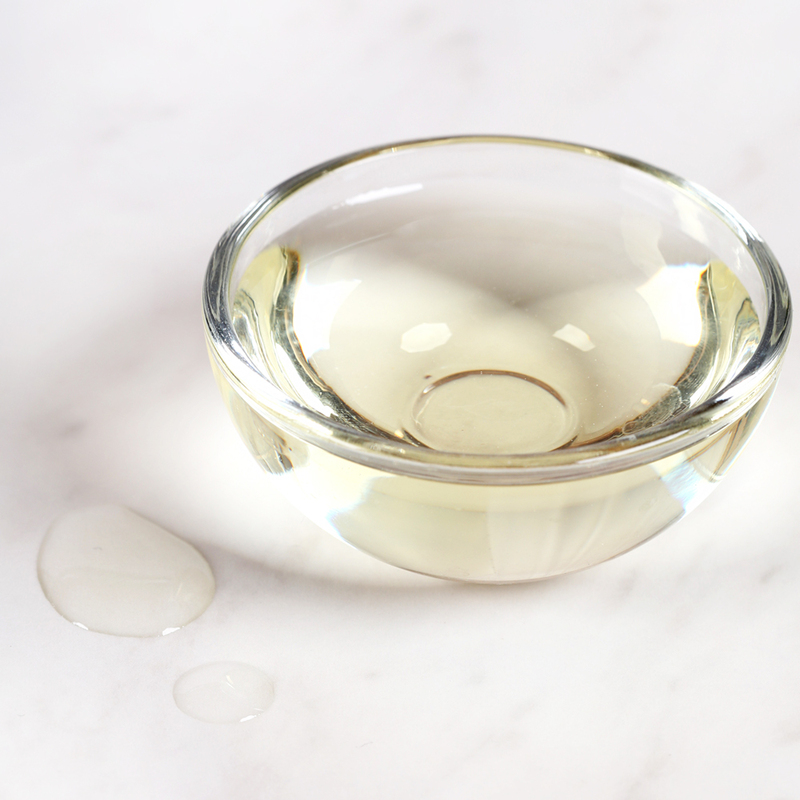 Other oils can be used instead if you prefer; we recommend staying with liquid oils that absorb easily into the skin. 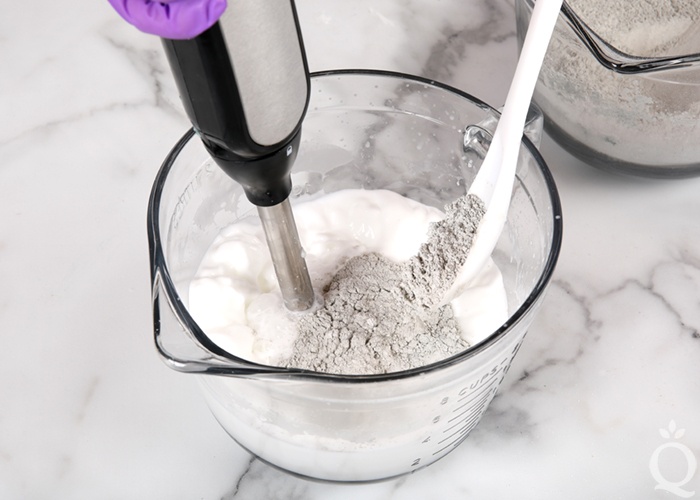 Changing the total amount of oil in the recipe will change the overall texture of the mask.